When your furnace or air-conditioning unit needs professional care, how do you decide who to call for service you can trust? 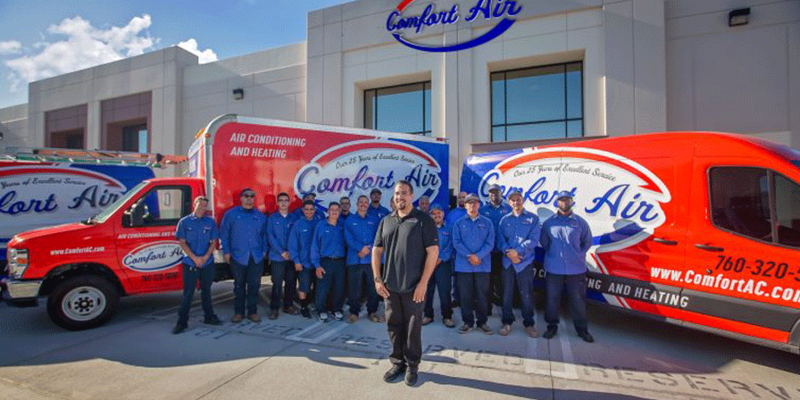 At Comfort Air, we have asked our customers this very question. What these responses indicate to us is that what customers most want is reliability. When your heating or air-conditioning system is not working right, you want an effective solution from a company that is respectful of your time and budget. As a family-owned and operated business, we take your concerns to heart. – We work hard to provide the best service value in the area. – We treat you the way we expect to be treated as customers. – We strive to exceed your expectations. – Top-notch service from trained, experienced technicians. – The best equipment on the market at competitive prices. – Professional advice aimed at improving the quality of your air and the efficiency of your equipment. – Friendly, courteous interactions on the phone and in person. Great, reliable customer service is the cornerstone of our mission statement. 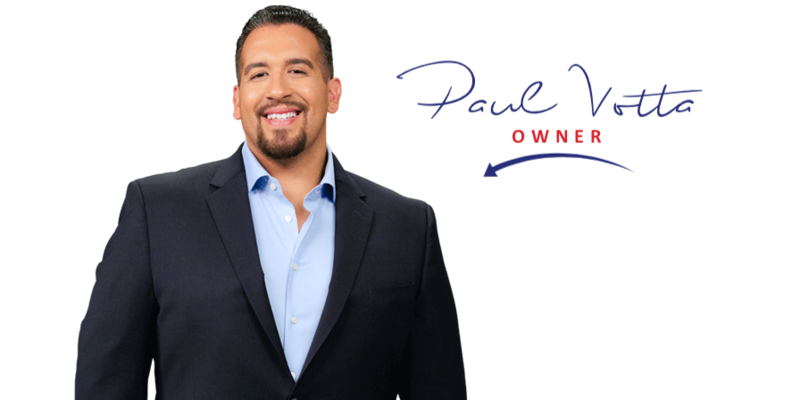 We back up our promises about providing A+ service with written assurances that eliminate any uncertainty you might have about whether we will do what we say. We offer a 100% guarantee on our 24/7 service. Whether you call us for a routine maintenance call or a middle-of-the-night emergency, we will do the job right and for a fair price. We proudly offer guaranteed upfront pricing. If your repairs are so extensive that it would benefit you to replace equipment, we are quick to offer options that will work with your budget while ensuring that your HVAC systems will adequately serve your home or business. Our company is licensed and insured to protect both you and us. 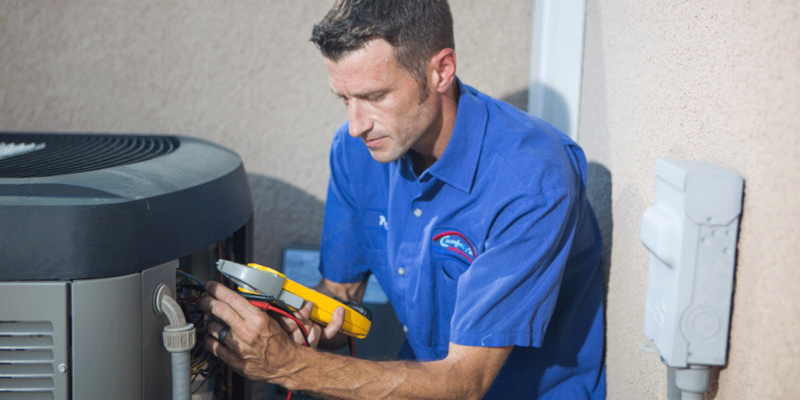 The service technicians who we send to your home or business are well qualified to do the job. Each person is background-checked and drug-screened when we hire them. To make sure that our employees are equipped to provide state-of-the art service, we require that they pursue mandatory ongoing training and factory certification from our equipment vendors. When we send a technician into your home, we are confident that they will do a professional job. 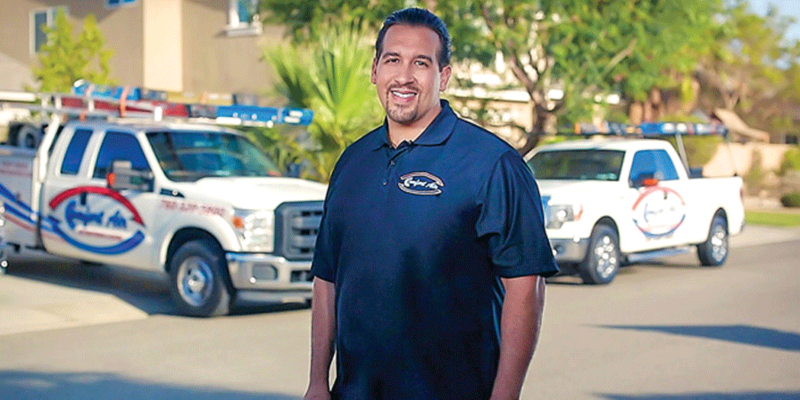 They arrive on time in a well-stocked truck so that they can complete most repairs in one trip. Our friendly service personnel are also knowledgeable and will gladly answer questions about what they are doing, the state of your equipment, and options to consider that will make your systems run better and more efficiently. If you want honest straight forward service, great warranties with tremendous savings then you’ll want Comfort Air – where comfort and savings go hand in hand. 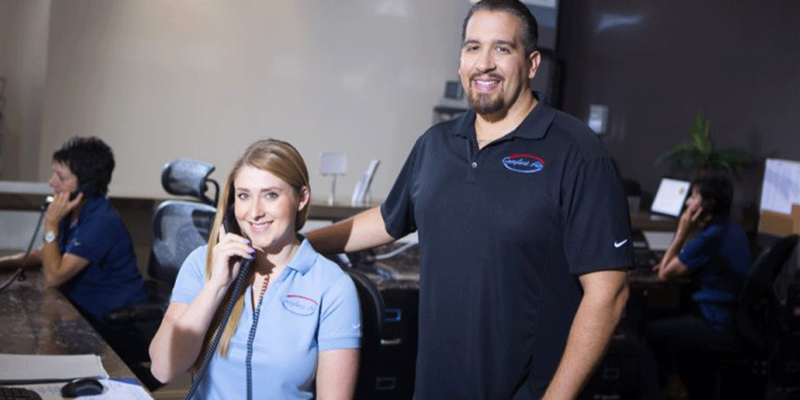 Serving Palm Springs, Palm Desert, Indian Wells, La Quinta, Rancho Mirage, and other Coachella Valley cities, we are ready to serve you 24/7. 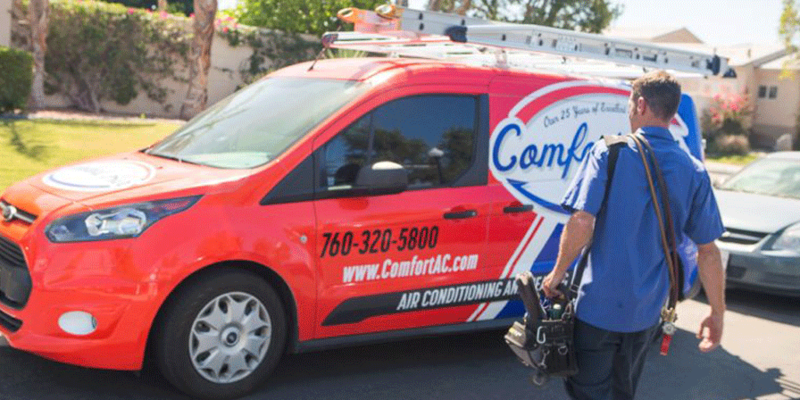 Just contact us at 760-320-5800, by email at info@comfortac.com, or by filling out our website form. If you contact us online or via email, we will call you back within 15 minutes if it’s before 8 pm any day of the week.